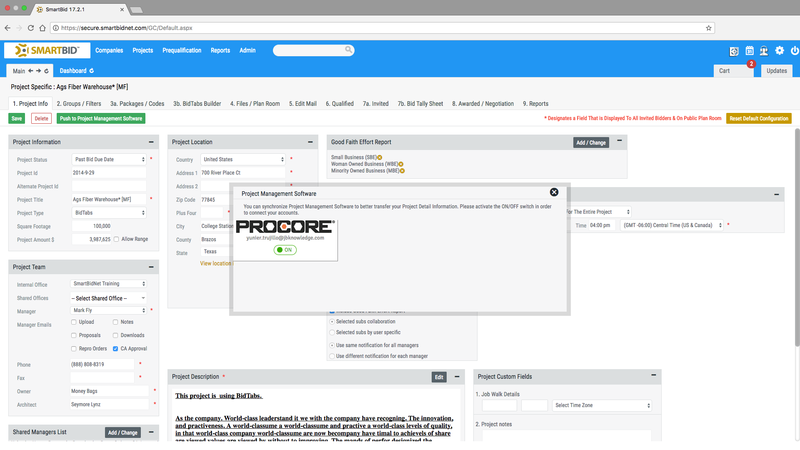 SmartBid construction bid software users can now integrate their project and subcontractor information from preconstruction with Procore for a more streamlined construction process. 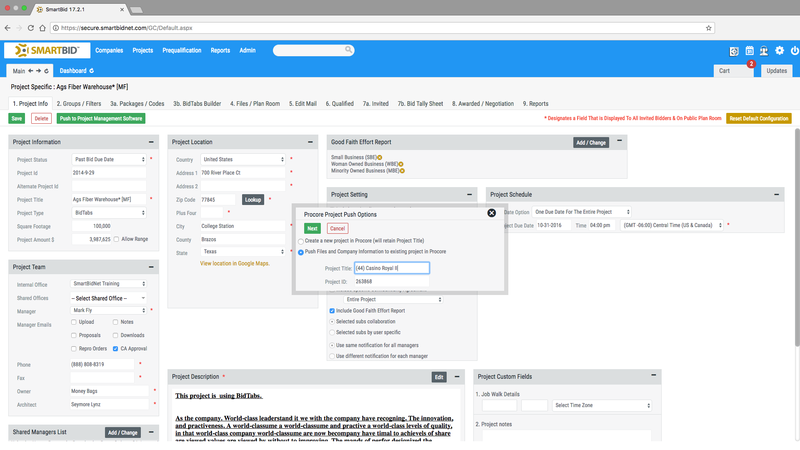 By connecting both accounts within SmartBid, general contractors can choose what project and company information is pushed from SmartBid to Procore once bid projects are won. 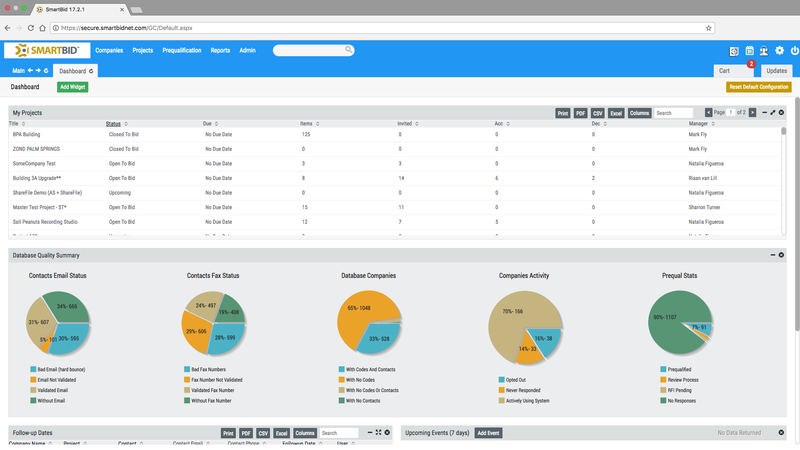 SmartBid is the leading construction bid management software for general contractors. The preconstruction software simplifies bidding for prime, commercial & residential general contractors. 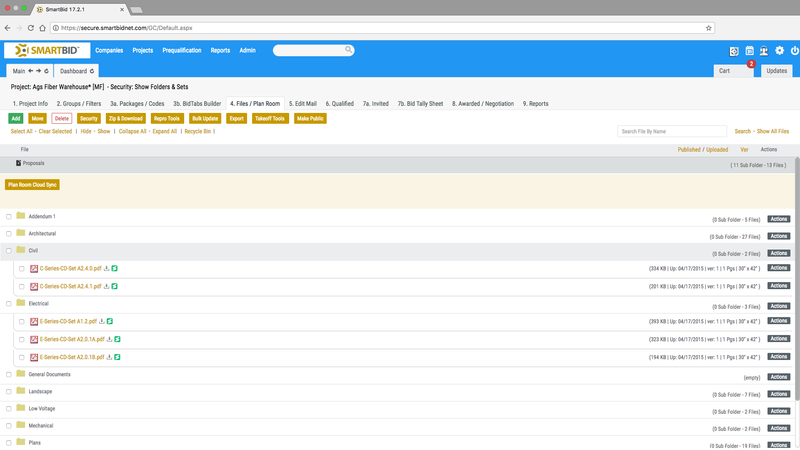 With SmartBid, users can access a robust, customizable software, to save time and frustration in the precon process. Using our secure web-based platform & mobile app, GCs are able to easily send project invites, manage their sub database, increase bid coverage and centralize project communications. All data & projects are guaranteed private & secure, only shared with those given access. 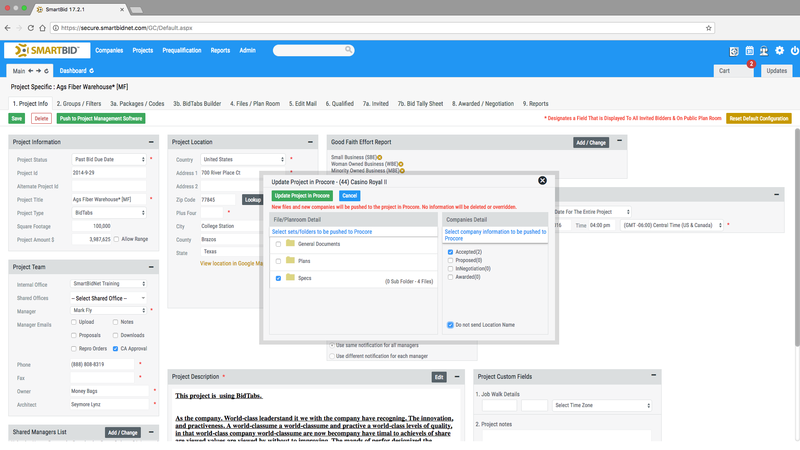 With 24/7 live support, we guarantee users & their subs, unmatched customer success in their invitation to bid process.